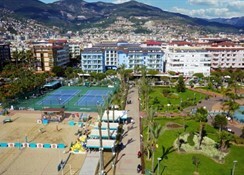 The Sultan Sipahi Resort Hotel is in a great position on Kleopatra beach, perfect for making the most of the many water sports on offer locally. 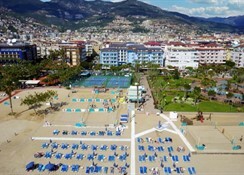 The hotel is 800 metres from the centre of Alanya which has numerous fish restaurants, cafes and bars. 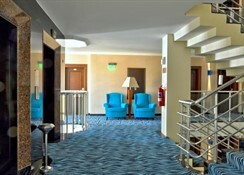 Comfortable guestrooms offer air conditioning and a balcony or terrace and the Sultan Sipahi Hotel also has a variety of facilities including restaurants, bars, indoor and outdoor pools, a fitness room, a Turkish bath, sauna and massage facilities and a kids club for younger visitors. 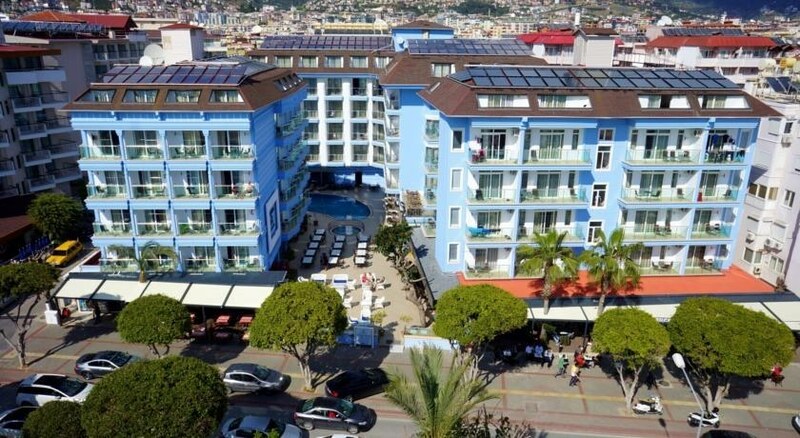 This hotel will appeal to families and couples looking for comfortable accommodation and a good selection of facilities for the active or those seeking rest and relaxation. 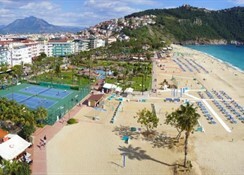 It is in the ideal location for beach lovers. 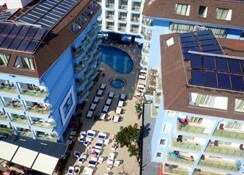 The hotel has an indoor and outdoor swimming pool. The hotel has a buffet style restaurant which opens for breakfast, lunch, dinner and a midnight soup service. 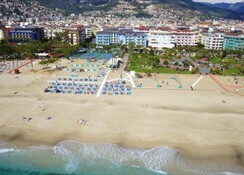 There are also two a la carte restaurants and four bars including a lobby bar, a beach bar, a pool bar and the Sultan bar.